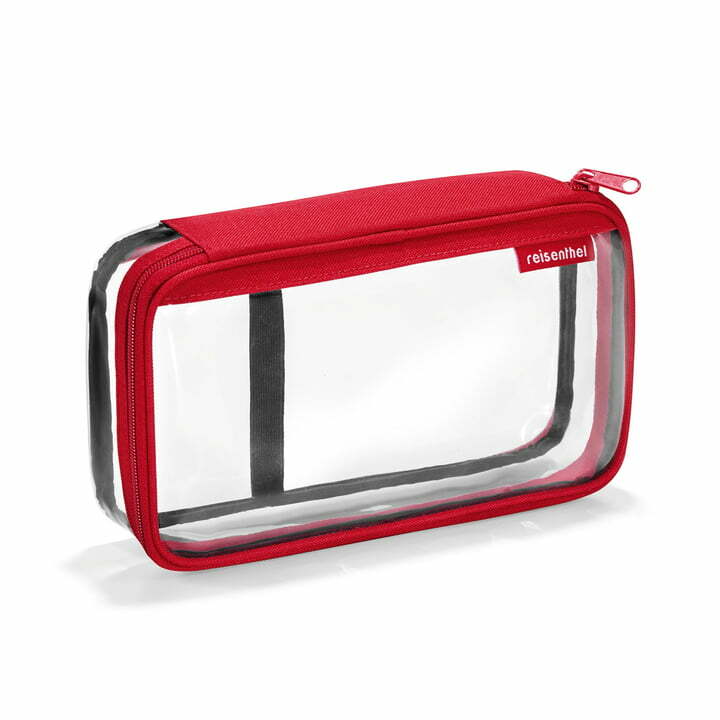 The takeoffcase by reisenthel is a transparent make-up bag for frequent flyers. The handy bag made of waterproof polyurethane is ideal for storage of creams, toothpaste, hair brushes and other small cosmetics. The reisenthel toilet bag can be opened and closed just withing seconds with a zipper. The utensils inside can be fixed with a rubber band, like that nothing slips and is secured. As part of the travel / cosmetics series by reisenthel, the takeoff bag is the perfect companion for your holiday or your next business trip. Single image of the transparent takeoffcase by reisenthel made of water-repellent polyurethane. A practical companion for your hand luggage with a capacity of 1.5 litres. 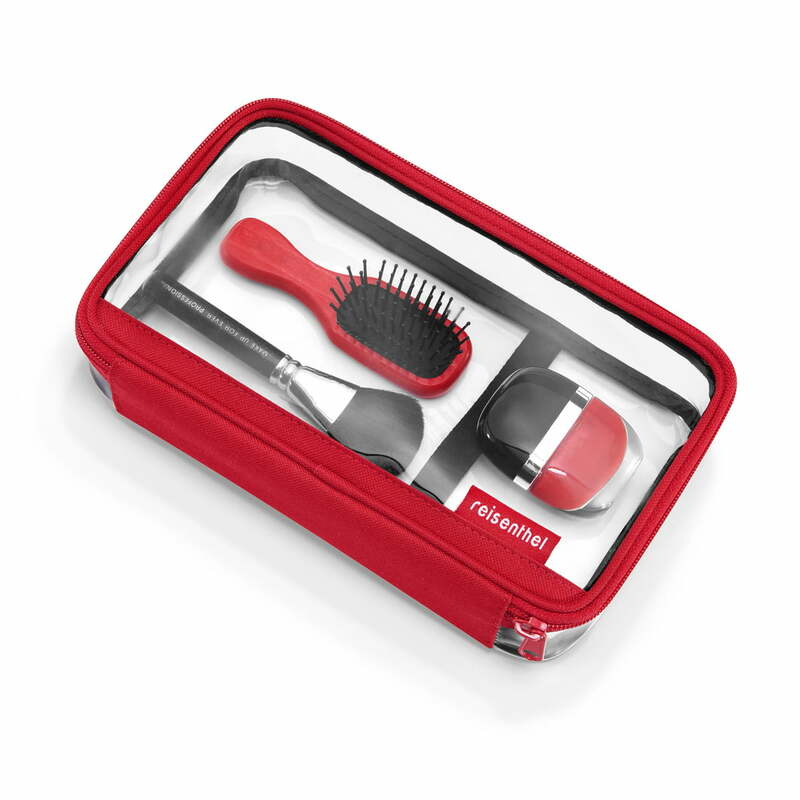 Single image of the takeoffcase cosmetics bag by reisenthel with hair brush, cosmetic brush and cream. The ideal storage for your cosmetics on your travels.